The most significant era of denominational development occurred during the Civil War and Reconstruction. Oftentimes, with the permission of Union army officials AMEclergy moved into the states of the collapsing Confederacy to pull newly freed slaves into their denomination. “I Seek My Brethren”, the title of an often repeated sermon that Theophilus G. Steward preached in South Carolina, became a clarion call to evangelize fellow blacks in Georgia, Florida, Alabama, Texas, and many other parts of the south. Hence, in 1880 AME membership reached 400,000 because of its rapid spread below the Mason-Dixon line . When Bishop Henry M. Turner pushed African Methodism across the Atlantic into Liberia and Sierra Leone in 1891 and into South Africa in 1896, the AME church now laid claim to adherents on two continents. While the AME church is doctrinally Methodist, clergy, scholars, and lay persons have written important works which demonstrate the distinctive theology and praxis which have defined this Wesleyan body. Bishop Benjamin W. Arnett, in an address to the 1893 World’s Parliament of Religions, reminded the audience of the presence of blacks in the formation of Christianity. Bishop Benjamin T. Tanner wrote in 1895 in The Color of Solomon – that biblical scholars wrongly portrayed the son of David as a white man. In the post civil rights era theologians James H. Cone, Cecil W. Cone, and Jacqueline Grant who came out of the AME tradition critiqued Euro-centric Christianity and African American churches for their shortcomings in fully impacting the plight of those oppressed by racism, sexism, and economic disadvantage. 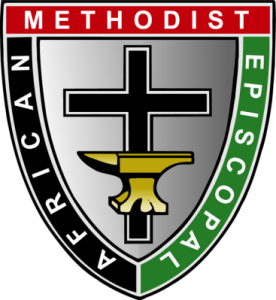 In the 1990s, the AME church included over 2,000,000 members, 8000 ministers, and 7000 congregations in more than 30 nations in North and South America , Africa , and Europe.